We had been practicing Spanish for months. Barcelona was our last stop in Spain before heading to France. We should be really good at the language by this point, right? Nope. Barcelona is actually the capital of the Catalonia region of Spain and they speak Catalan or their own interesting version of Spanish. Once again we got by, but it isn’t the version you learned in school. 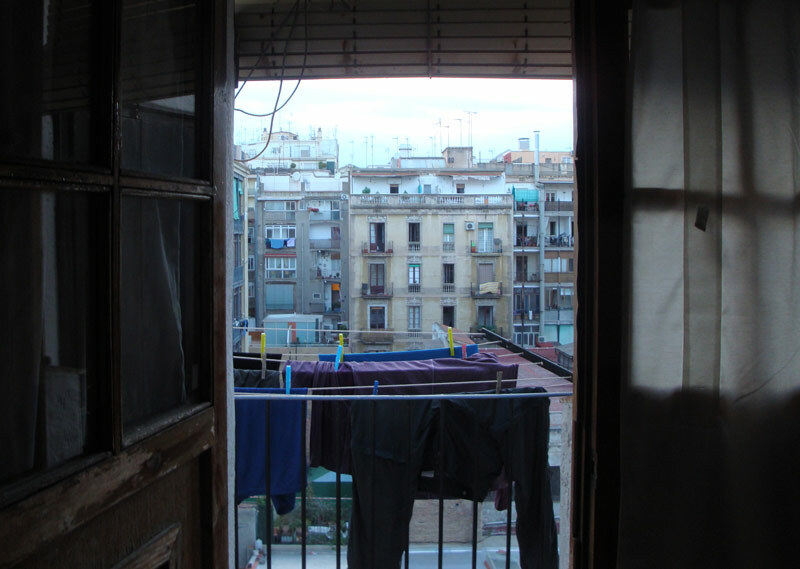 We arrived in Barcelona three days before we were supposed to meet up with friends. While this blog may seem super exciting and adventurous we still have to do the everyday things. We spent a few days getting caught up on laundry, emails, bills and writing. We also ate dinner at home to save money. The upside was there are plenty of fresh produce markets to buy food. The downside is no one uses a dryer and you have to hang all your clothes off the balcony. 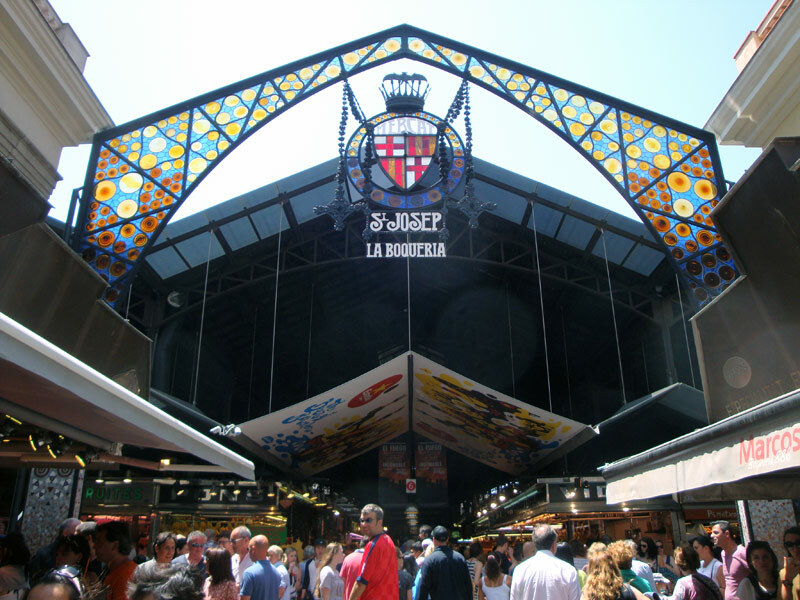 One of the biggest and best places to buy meats, cheeses and produce is Mercat de Sant Josep de la Boqueria off the main tourist street, Las Ramblas. We went here a couple of times. There are plenty of stalls to eat fresh seafood and charcuterie there or you can take it to go. These markets can be great for impromptu picnics in the parks. Mark heading into the market. We were able to go out to dinner occasionally including our friend Matt’s favorite paella place which just happens to be upstairs of a rotisserie chicken joint called El Pollo Rico. 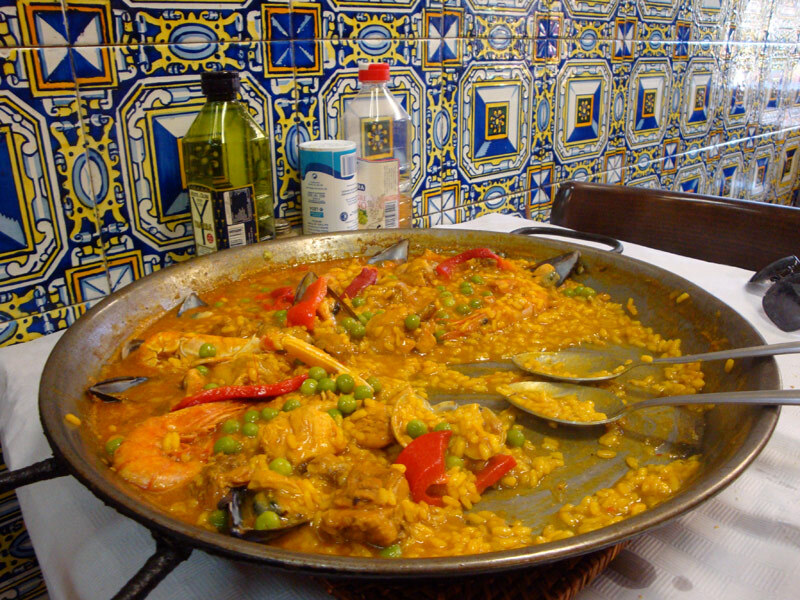 We enjoyed the paella, but think on a future visit we should try the chicken downstairs. Barcelona architecture has an interesting style including a lot of gothic and mosaic buildings. Park Güell is one of the major works of architect Antoni Gaudi. He was known for using colorful mosaics, curved stones, and twisted iron. He was also the architect for Barcelona’s still unfinished basilica La Sagrada Familia. Outside of Park Güell. We didn’t go inside….that costs money. 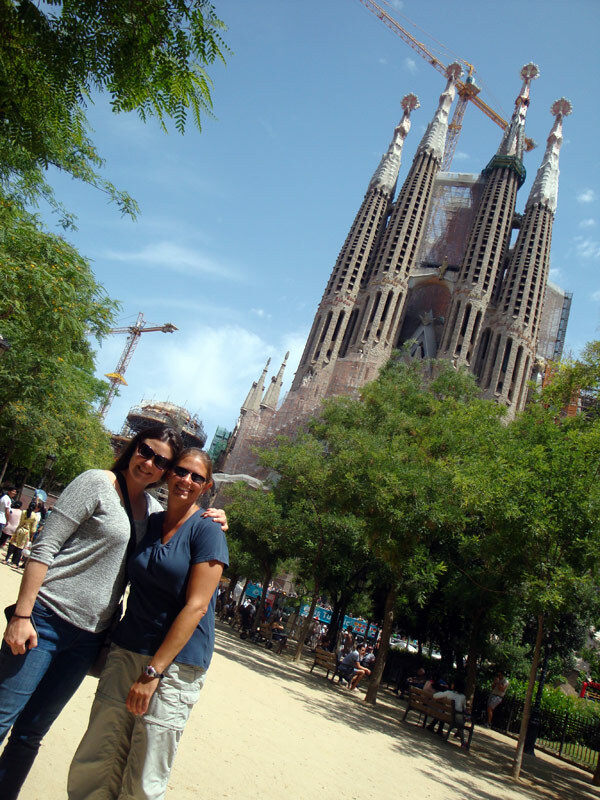 La Sagrada Familia with Shelley. Our friends James and Shelley met up with us in Barcelona. I was excited to see some familiar faces. 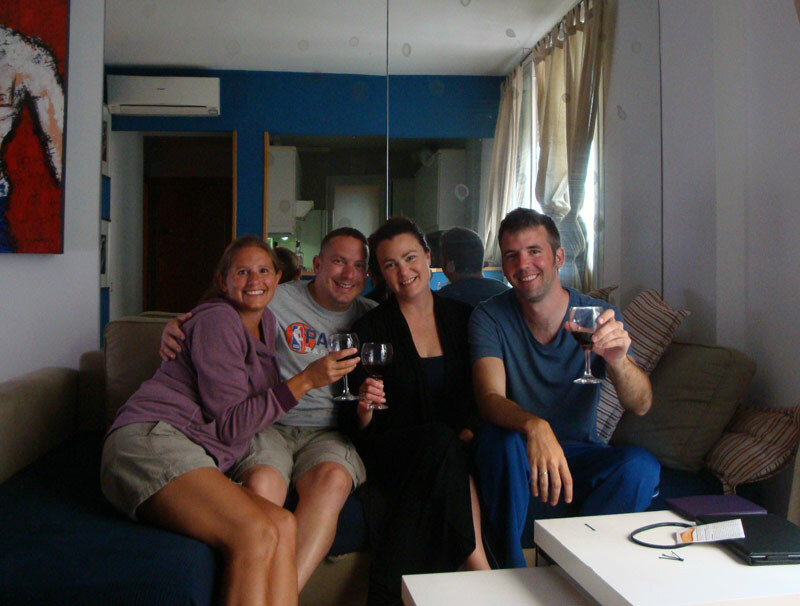 They rented a place in Barcelonetta and we stayed with them at the beach. This area was really nice with both expensive and affordable dining options available. You can even go to the local markets to grab some beer or wine and take it to the beach if you don’t want to pay the expensive prices at the beach bars. Be aware that the mini-markets a street or two off the beach are much cheaper. 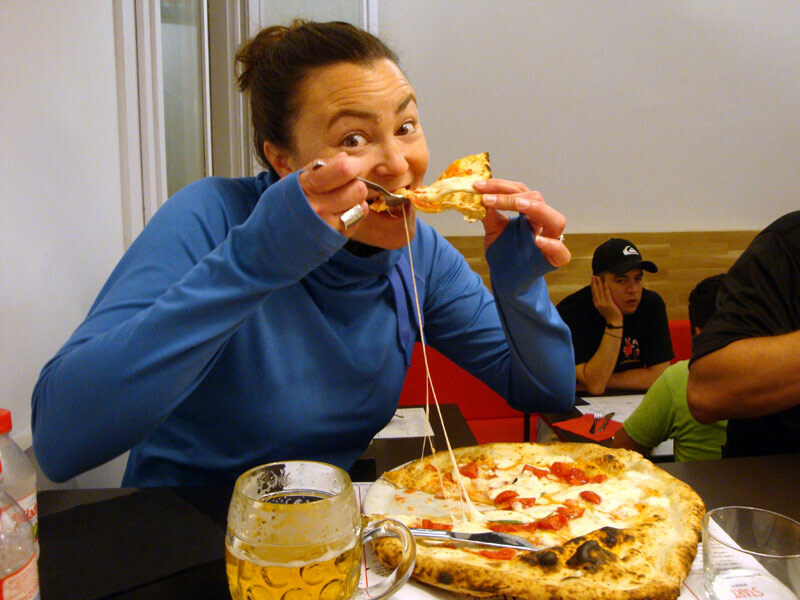 We were lucky enough to have a great pizza place, NAP Neapolitan Authentic Pizza right down the street from our apartment. Shelley diving into her pizza at NAP. The Picasso Museum was one of the main attractions I had wanted to see in Barcelona. It was a little expensive on a budget at €14 (US$18), but it was well worth the visit. I had been looking forward to going here for a while. Picasso’s most famous paintings there are First Communion and Science and Charity. However, we really enjoyed his tribute series to the artist Velázquez. We had seen the original Velázquez painting, Las Meninas, at the Prado in Madrid years ago. Unfortunately, you cannot take photographs in the Picasso museum. There was also a lot of wine drinking at the apartment. The best way for us to get around was the T10 metro ticket. It allowed 10 trips within the main zone for €10.30. The best part is more than 1 person could use the pass. Normally, tickets cost €2.15 each. The ticket includes the funicular up to the base of Montjuïc Park. You will arrive part of the way up and will need to walk or take the Telefèric cable car the rest of the way to the top. We walked because it was free and you have to pay for the cable car. James and his new toy. 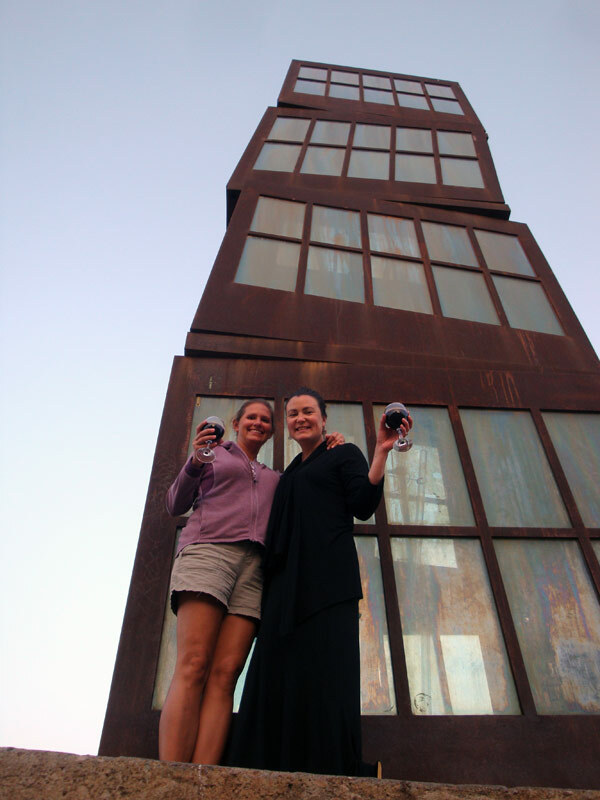 Montjuïc Park has great views of the city and even some bars and restaurants. We realized after we were up there that we should have planned for a picnic. 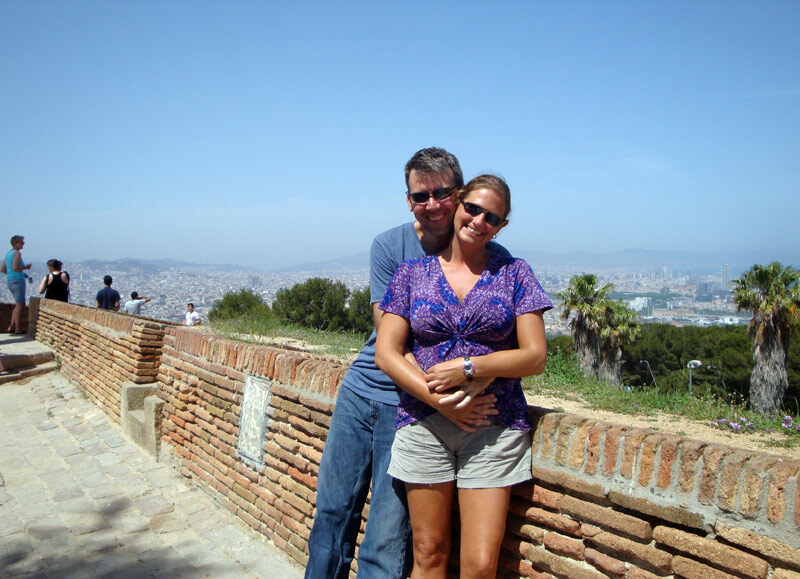 There are lots of flower gardens, walking paths, and even Montjuïc Castle at the very top. If you visit the castle later in the day like we did, they wave the admission fee. 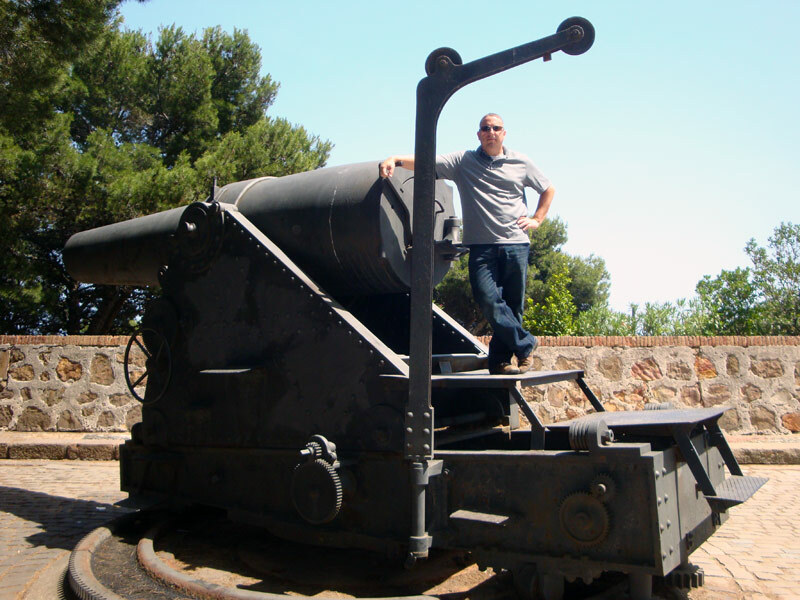 We were able to see the military defense cannons, the observation tower, beautiful gardens and the moat. The top of the castle was the best view of the entire city of Barcelona. 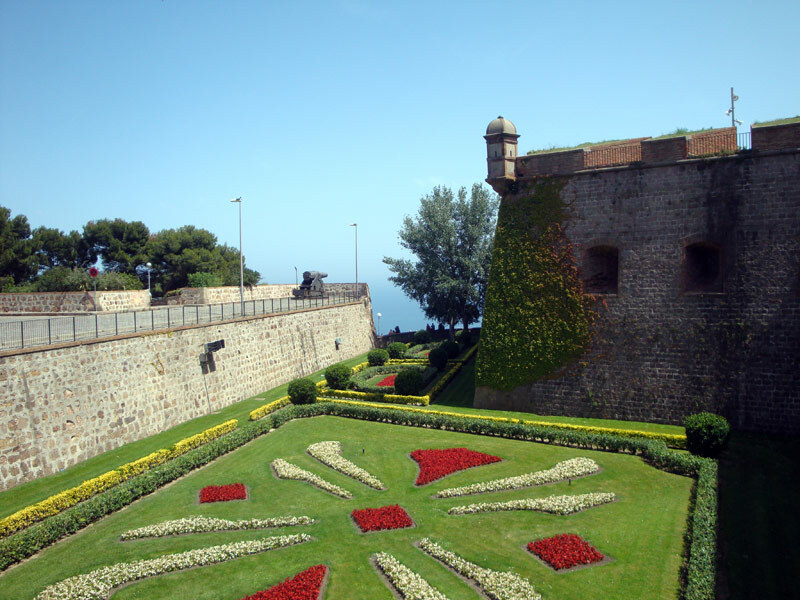 Montjuïc Castle: A nice garden always helps soften the image of a military installation. 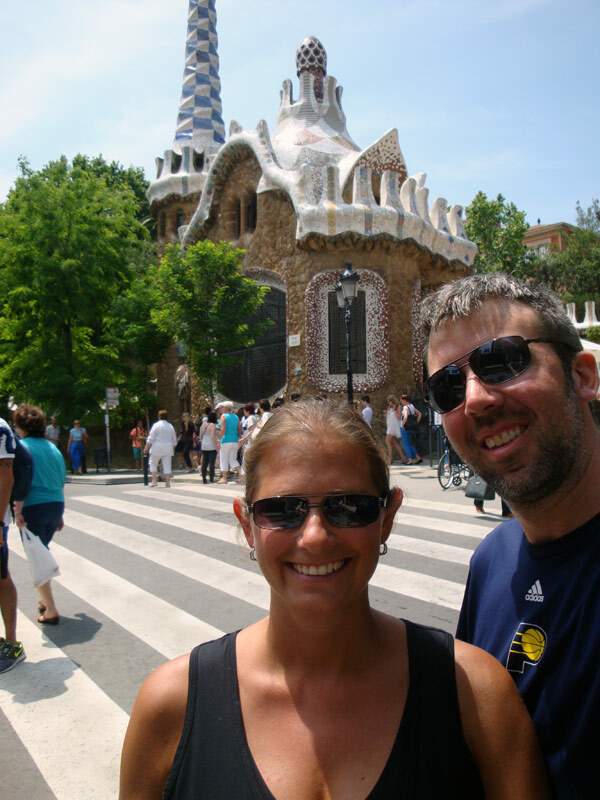 Barcelona has been on my list to visit for a long time. I enjoyed the city, but it is just that…a big city. As you can see there are great things to do and plenty to see, but it isn’t as budget friendly as other less crowded places in Spain. Future visits will consist of less time in the city and more time exploring the smaller cities to the north. That also means more time practicing Spanish because English is not as prevalent in the smaller towns. I loved the architecture in Barcelona. I was only there for a few hours before we boarded our ship, but I will never forget it! I would definitely go back to Montjuic and for sure pack a picnic.